Black Ops 4 launched worldwide today, and it has been the smoothest Call of Duty release in years, assuming you’re playing on console. Starting at midnight, players have been partying up and jumping right into battle on PlayStation 4 and Xbox One. If you’re gearing up to play on PC, you might experience some login or crashing issues. In years past, Call of Duty fans would eagerly wait for that midnight countdown to grab their game, download, and hop online with friends, completely forgetting that release days often come with a few hindrances. Last year’s Call of Duty: WWII had a rough first day in the trenches with awkward load times, freezing, and server issues that plagued all platforms. If you were able to party up and load into a match, the game just kind of wanted to keep you in that lobby forever. Often, the final scoreboard would freeze after your match ended, and then suddenly you’re loading into a new match, never getting the chance to back out, fix your classes, or regroup with friends. Loading out of lobbies and into the required Headquarters social space often meant freezing on black screens, the party getting disbanded, or PS4 blue screen crashing. Call of Duty: Infinite Warfare’s 2016 release was no better. Black Ops 4 has featured none of those day-one nightmares for my squad on PlayStation 4, and I’m seeing a pretty positive response on social media for console players. 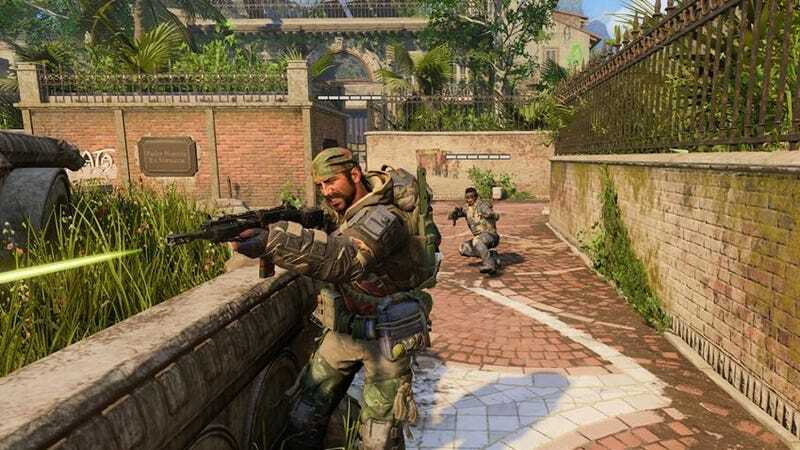 It’s important that Activision got this right, as Black Ops 4's lack of a campaign mode means that if multiplayer didn’t work, players would have absolutely nothing to do. Fortunately, standard multiplayer, Blackout, and Zombies all run smoothly for me. I played with groups of friends all morning without any of us experiencing disconnects, blue-screens, or server issues. Treyarch gave us a really smooth console launch, so I’m certain I’ve clocked more actual playtime than past launches. I was pleasantly surprised to find that multiplayer now has silly new Fortnite-style emotes and sprays for wall-tagging, and I’ve been endangering my friends by using those as much as possible. There’s also a ton of Zombies content to dive into, and I’m already feeling pretty addicted to the new Rush mode, which has a more arcadey, high-score feel than your standard Horde survival mode. If you’re one of the PC players struggling with crashing, freezing, or other issues, there’s a mega-thread on Reddit for discussing the struggle and posting your data, so hopefully these problems can be addressed promptly. As for me, I’m headed back into battle for more emote shenanigans that get my friends killed.